I'd like to say a very big thank you to Mona Katergi and everyone at Cheetham CE Community Academy who I had the pleasure of meeting last year. It was one of the best school visits I've ever done! Miss Katergi has been teaching Varjak Paw at this school for many years now, so almost everyone there had read it. A lot of people had already read Phoenix too, even though it was still only available in hardback at that time! It was incredible to see such enthusiasm for reading and books, and I had some really brilliant questions and conversations. 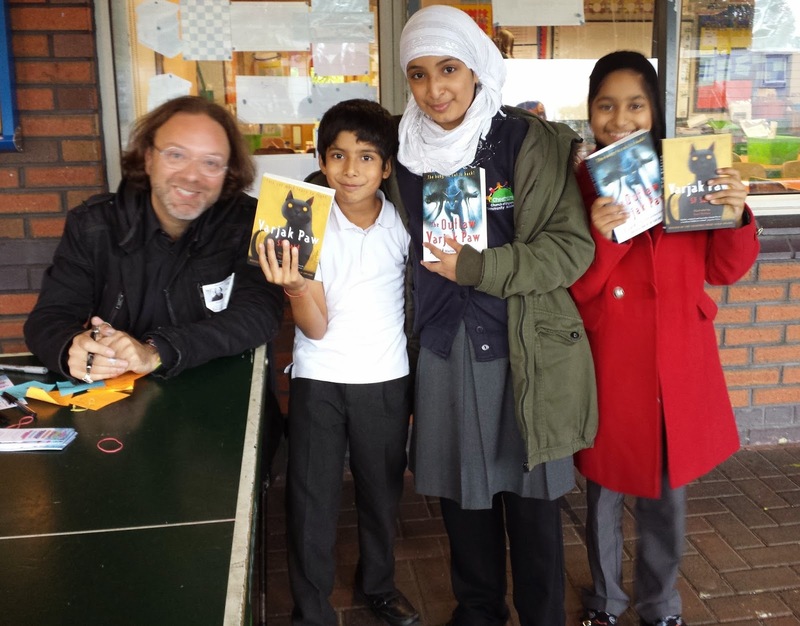 So thank you to everyone in Cheetham Hill for a very special day. Visits like this make me remember why I #can'tlivewithoutbooks!